It is no secret that the world faces a lot of problems today. High levels of food waste and growing landfills are one of the most pressing environmental problems facing the modern world. Food waste within landfills contributes significantly to the amount of greenhouse gasses in the atmosphere. Forty percent of the food produced in the United States is never eaten, and one hundred million tons of food is thrown away in Europe every year. Much of this food waste comes from restaurants and grocery stores. A high amount of food waste also results from crop cultivation. Twenty eight percent of food grown from crops will be thrown away. The amount of food thrown away in fully developed nations would be more than enough to feed starving nations. So how can food waste be reduced? Agricultural experts in Singapore have shown that food waste can be dramatically reduced with the help of a certain species of fly. This form of farming is called “closed loop” farming, and the flies remove waste while providing fertilizer and feed. Recently a citizen farm in Queenstown, Singapore has been successfully reducing waste and providing nutritious feed for fish by making use of black soldier flies. This closed loop system works by feeding the larvae food waste taken from restaurants and grocery stores. This waste ends up becoming great fertilizer. Once the larvae pupate and mature into adults, they are fed to fish. The waste produced by the fish is then also put to use as fertilizer. This particular citizen farm is the first in the country to use black soldier flies for cultivation purposes. And it has been working well, as the farm produces one hundred and fifty kilograms of vegetables and fish per month, and produces the same amount of food waste per day. This daily food waste goes toward a large insect farm. This insect farm contains nearly ten thousand kilograms of the black soldier fly’s pupae. Black soldier flies are ideal for this sort of agricultural service since they do not spread disease and are not pests to any crops. 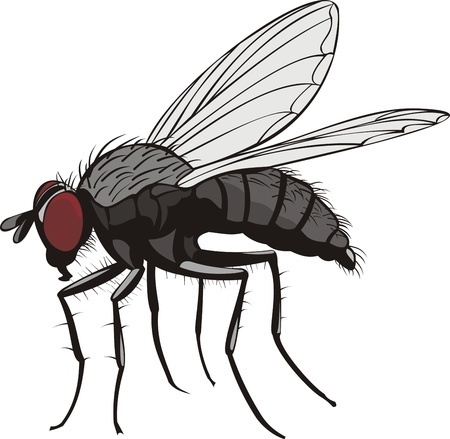 This fly also has a short life cycle that only lasts six weeks and they instinctively avoid human habitats. This closed loop system of farming is particularly important to the people of Singapore, as the country is small and has very little room for farmland. However, if closed looped farming were to become the norm all over the world, multiple benefits would result, such as reduced greenhouse gas emissions, reduced food waste, reduced rates of global hunger, reduced money spent of feed and even reduced deforestation. Do you think that there are any drawbacks to the closed loop agricultural system?